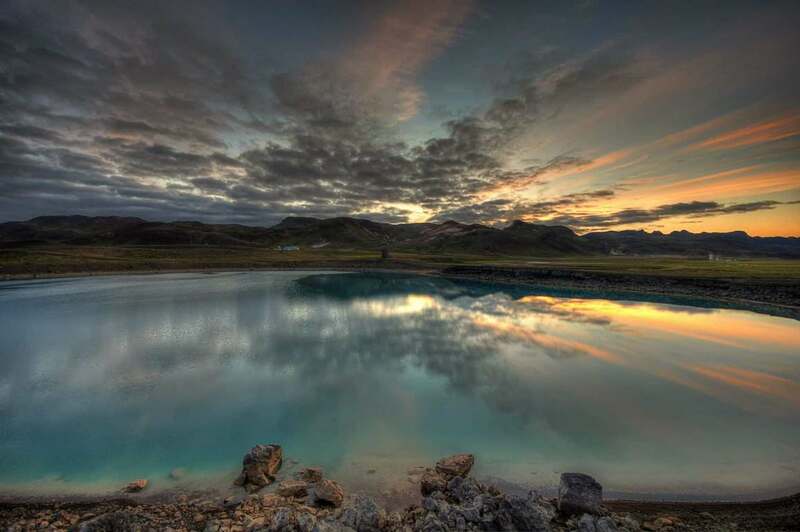 Reykjanes is the part of Iceland where the international airport and the famous Blue Lagoon is. This part of Iceland is underrated by many. Most of the visitors are quickly getting to Reykjavik, admiring the volcanic landscape along the main road not knowing that there is so much more to see. Everyone is talking about the Golden Circle, South Coast etc., and one of the most stunning places is just there – on the way to the airport. First of all, you need very little time to get there. You leave Reykjavik – you are there; you land in Iceland, you are already there. This is one of the reasons why in just a few hours you can see so many awesome things. 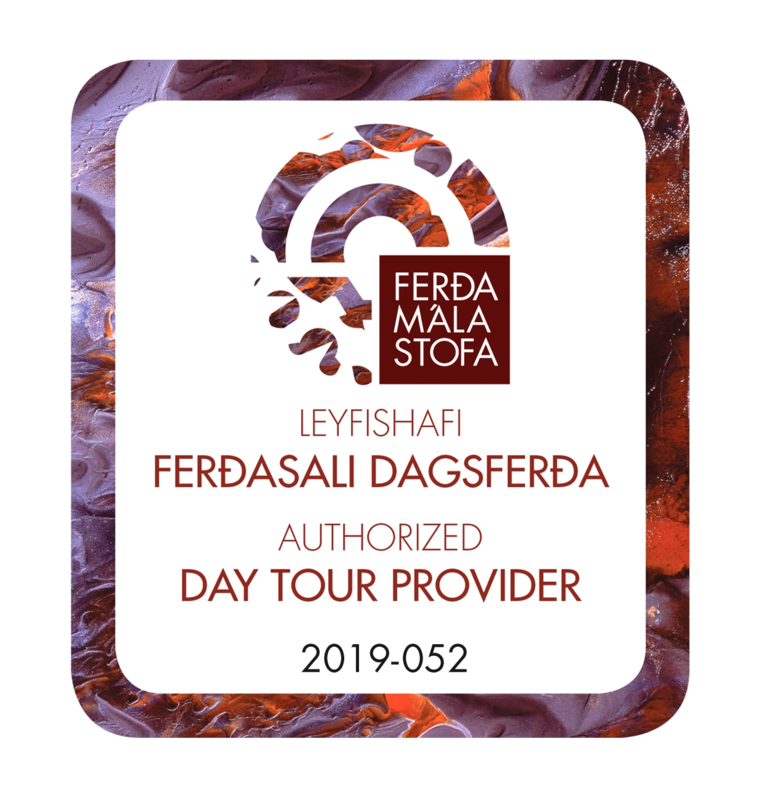 geothermal areas, cliffs and wild ocean, birds, lonely roads winding through beautiful landscapes, lighthouses, charming little villages, volcanoes and lava fields, black beaches, crystal clear lakes and a few other surprises. 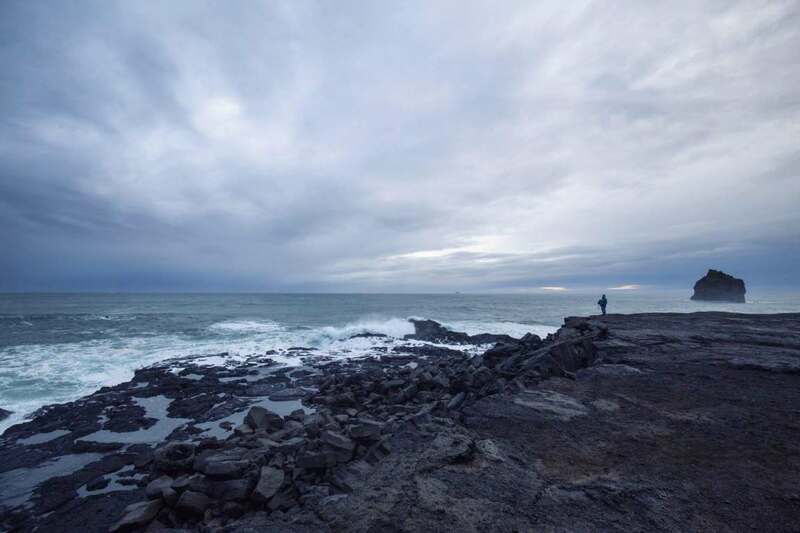 Since 2015 it has become known as Reykjanes Unesco Global Geopark because it has so much to offer. The peninsula exists where 2 continental ridges meet and it is the only place in the world where this happens above sea level! It also means a lot of geothermal activity that you can see all over the place. 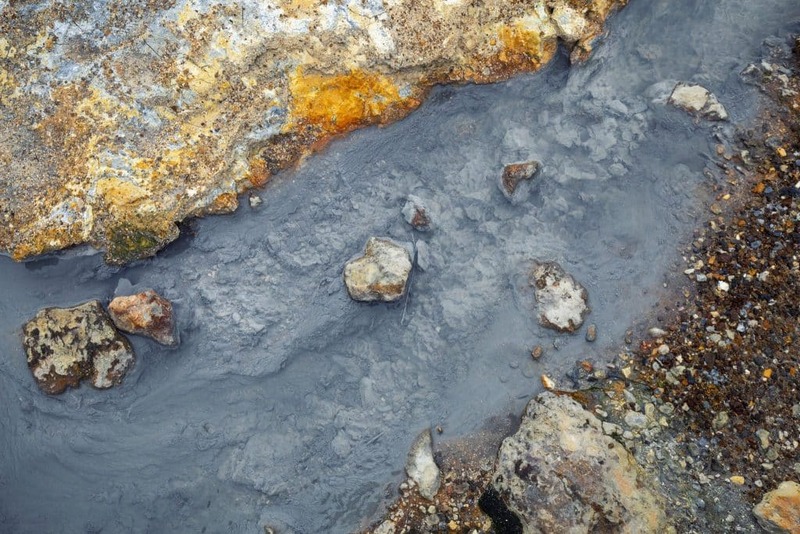 It is unique from Iceland’s other hot springs due to its proximity to the ocean and it has its own ghost. Accompanying gases such as carbon dioxide and hydrogen sulfide make the water acid, which causes alteration of the fresh lava rock to clay. The name originates from the name of the ghost who was bound to this area – Gudrun “Gunna”. Gunna was a woman living in a small village on the Reyjkanes peninsula in the 18th century, believed to be a witch (as she always cooked something in her pot). She had a heated argument with a local law enforcer shortly before she died. Wilhelm (the law enforcer) attended the funeral (in spite of the argument). He died mysteriously in the following day, his body totally devastated. Everyone believed it was the ghost of Gudrun, who has returned for revenge because of the argument. The local priest had to fight the ghost as it wanted to drag the body of Wilhelm to hell with her. She didn’t succeed and Gunna went mad. She refused to stay dead, and her spirit started terrorizing the peninsula, wreaking mayhem. Story aside, the place is a stunning example of a geothermal activity which you can easily witness. There are many wooden paths leading through this area. Getting here is also not very difficult and you do not need an offroad car. Of course be careful as everything here is boiling hot. Stay on the path, DO NOT touch the water to check if it is really hot 😉 – believe me, it is. Another great example of the geothermal processes that are happening in Iceland easily accessible in a few minutes from Reykjavik. 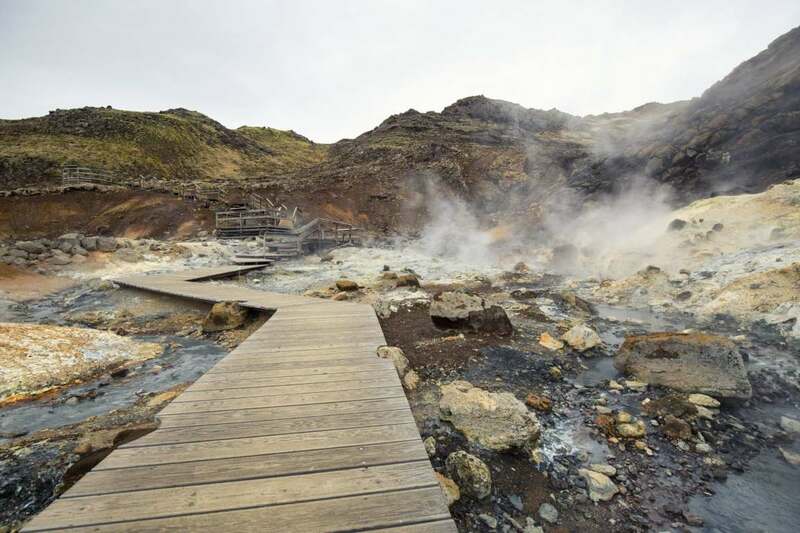 At Seltún (another name for this area) you can see both bubbling mud pools and steaming hot springs. Everything is very colorful. 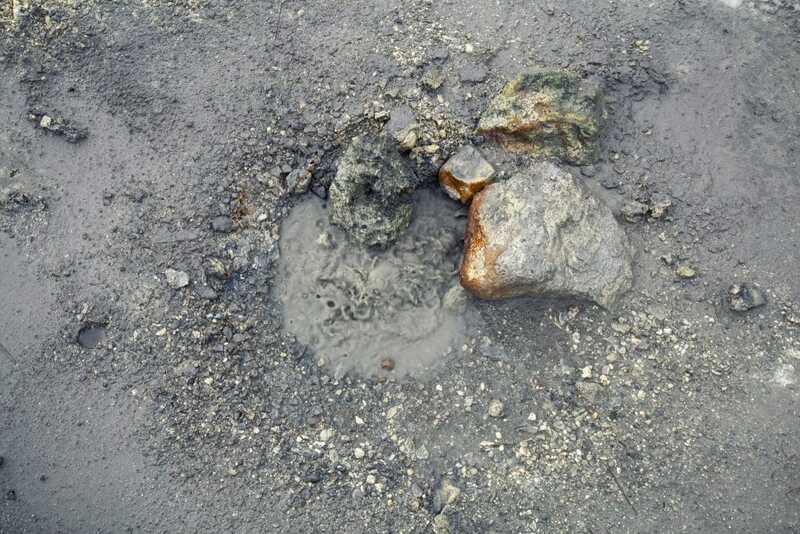 The very characteristic deep grey colors of the boiling mud pools, sulfur deposits, yellows of the ground around make for an amazing place to visit. You can easily take a stroll on the wooden path admiring the diversity of this place. The heat here is 80-100 degrees C, so always keep to the marked trails and pathways, and hold on to your children. If you have time and you are willing to put in a little more legwork, go to the top of the hill, where you will enjoy a spectacular view over the area. It is a natural pond filled with ocean water at the bottom of small cliffs. There is also a viewing platform which is one of our favorite places in Reyjkanes. You can witness the power of ocean waves crashing into the rocks. But be careful, the waves can be very dangerous and you are risking the possibility of getting completely soaked. Those cliffs are located at the very end of Reyjkanes peninsula. Rough rocks sticking out of the ocean, smashed by never-ending waves. Loads of birds and beautiful lighthouse overseeing the whole area. This place is easily reachable by any car and offers many possibilities for exploring the area and admiring beautiful views. Paths leading to the brim of cliffs or into distant lava fields. A lighthouse in this area was built in 1878. Over the next few years, earthquakes have damaged it and there was a risk that it could fall into the ocean. The new lighthouse was built on a nearby hill in 1908. 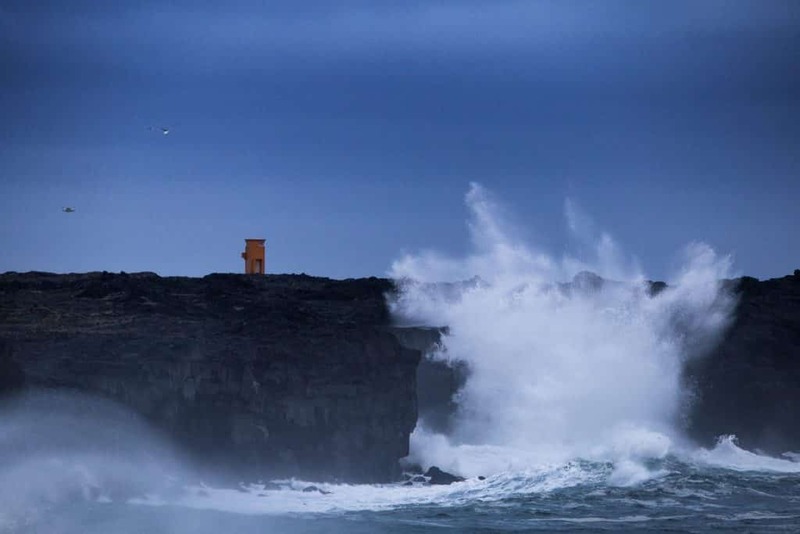 It is the same one we can admire when visiting VALAHNÚKUR cliffs. The light signal height is 69 meters above sea level but the actual height of the lighthouse is 26 meters. There are 2 lighthouses here. 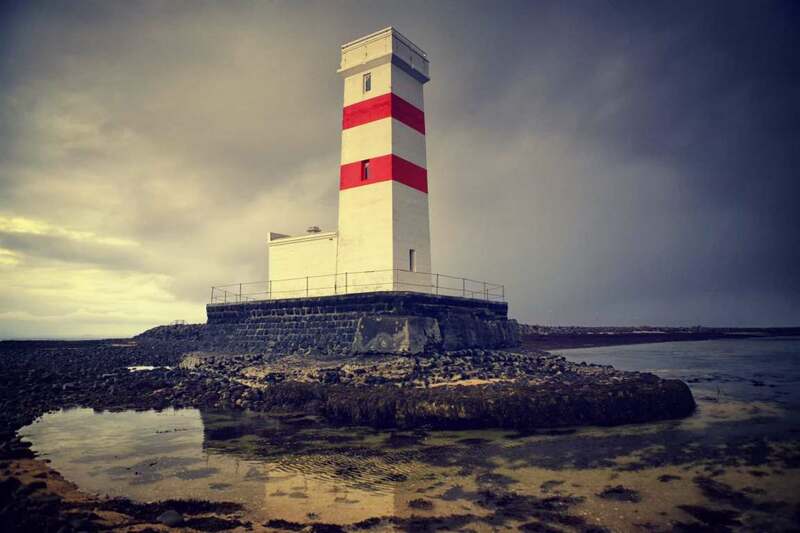 The new one built in 1944 is 28 meters high (which makes it the highest lighthouse in Iceland). 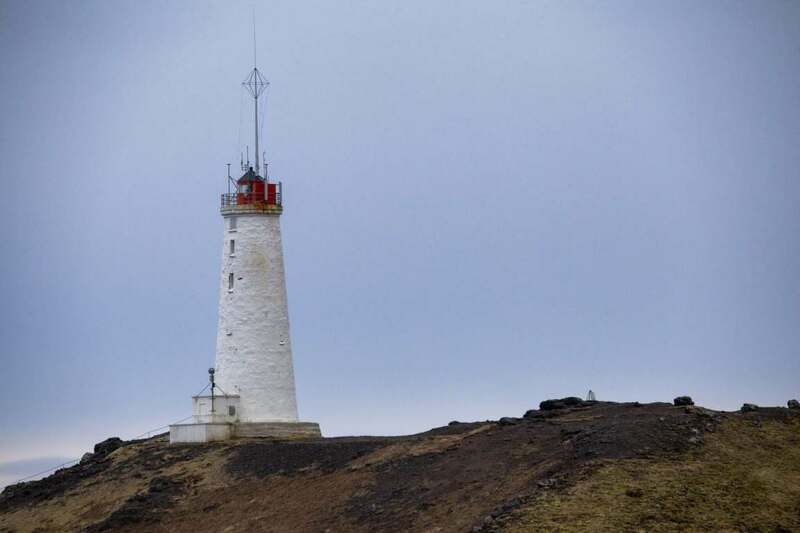 There is also an older lighthouse in the area regarded as one of the best lighthouses in Iceland because it stood low and therefore mist was not a problem. The Lighthouse at Holmsberg was built in1956 and is 9,3 m tall with. 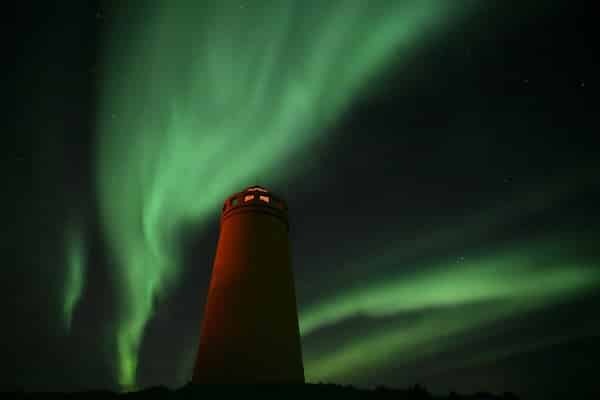 There are 6 more identical lighthouses build in other parts of Iceland. Grindavík is an active fishing village near the world famous Blue Lagoon Spa Grindavík has a good variety of activities counting several galleries and museums, swimming pool and spas, quad biking and good lake fishing. 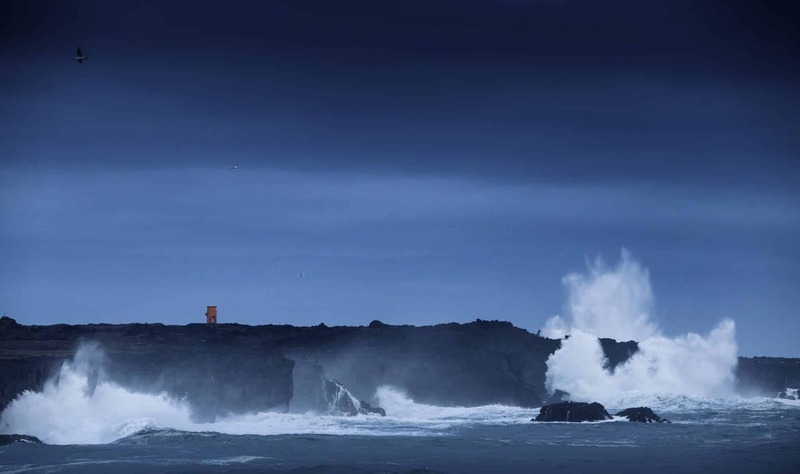 Reykjanesbær is just five minutes from the airport and is the biggest on the peninsula. This is a good place to start (or end) you adventure in Iceland. There are many shops (Bonus, Hagkaup), restaurants, hotels and other attractions. This small town is where the Amercian military base was located and started to thrive during this period. Now the Americans are gone but you can see much military building left behind. Sandgerði is located on the Western part of the peninsula, At the harbor, you will find restaurants, galleries and the Suðurnes Science and Learning Centre. The lake Kleifarvatn is about 10 km². 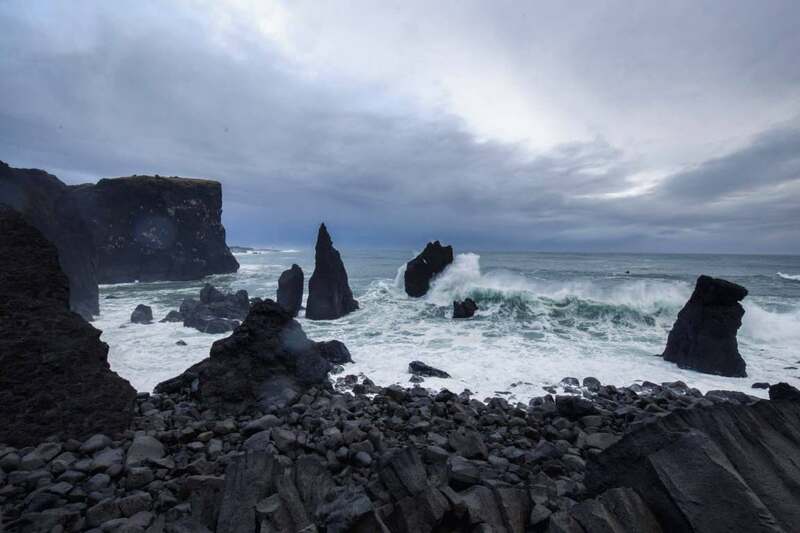 It is the largest of Reykjanes peninsula and the third largest of southern Iceland. It is about 97 m deep and one of the deepest lakes in Iceland. The story says that a monster in the shape of a worm and size of a whale lives in the lake. It is a peculiar lake as there are no rivers flowing in or out. Because of this, the water level only changes with the groundwater, which has varied almost 4 meters (13 feet) in a few decades. It is a good name for this lake – Green Lake. The water here has a very deep, green, beautiful color thanks to high level of sulfur in the water, its depth (43 meters! ), thermal algae and crystals that absorb the sun’s rays. It was formed by old volcanic eruption 6000 years ago! Lake is pretty small and you can walk around in just a few minutes. 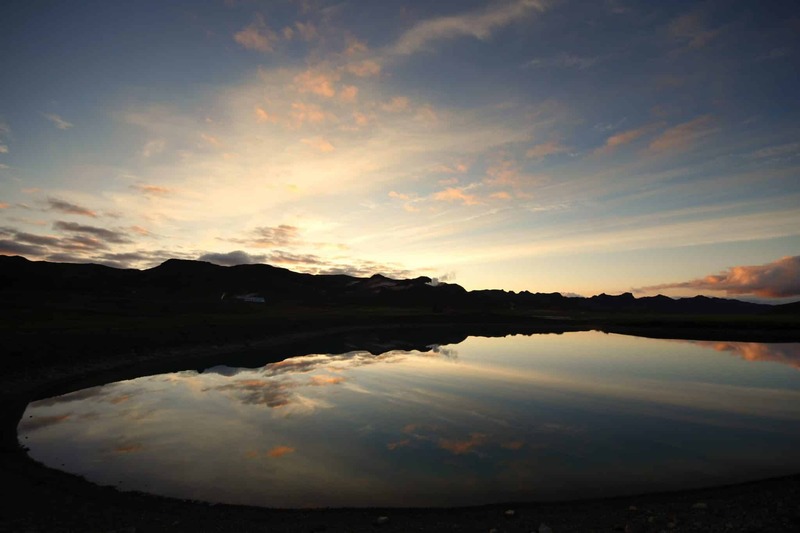 It is located just a walking distance from Krysuvik and is a perfect spot for taking some amazing photos! On either side of the main road are two small adjacent lakes, called Augun (the eyes). 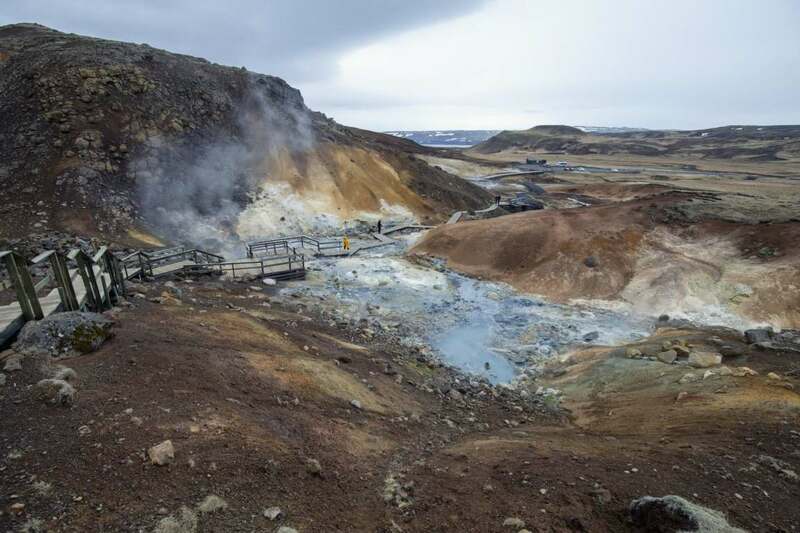 Why should you book a Reykjanes Tour? When you have a stopover – you got a couple of hours to kill between flights? We will pick you up, show you amazing Iceland and be back, quicker than any other tour. When have early afternoon flight – are any other tours to long? Don’t you want to waste a day? This is a perfect solution. Book this tours, and at the end, we will drop you off at the airport – no extra charge! 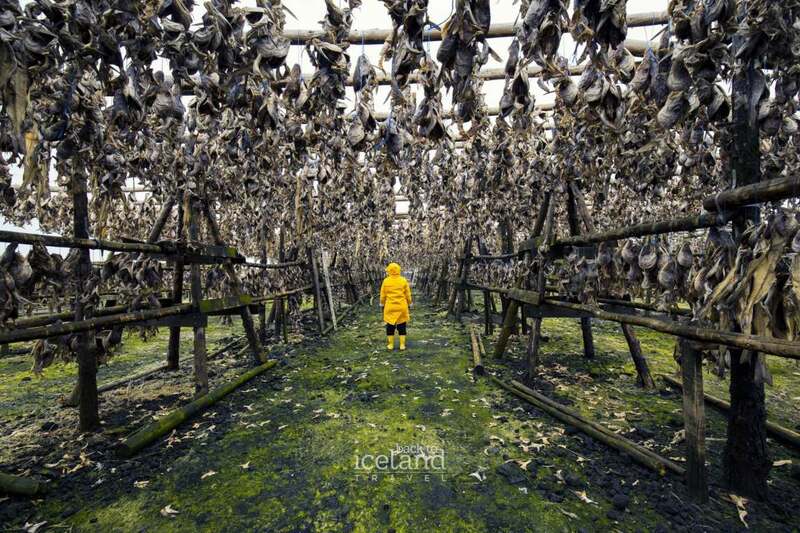 Are you tired of seeing all those famous attractions of Iceland? Book Reykjanes tours. It is unique, it is refreshing, it is absolutely amazing. Ultimate combo: book this tour, add a Blue Lagoon bath and finish at the airport!